There are a handful of hotels in the world so iconic, so distinctive that they become synonymous with the city that created them. In Istanbul, that hotel is the Cıragan Palace Kempinski. For travelers who want to fully experience the grandeur, elegance, excitement, and mystery of one of the world’s most extraordinary cities, there is no other choice. Magnificently situated on the European shores of the Bosphorus overlooking the ancient city, Cıragan Palace was at one time an Ottoman Palace, with regal architecture, timeless style, and spacious gardens to prove it. This is the only imperial palace and hotel on the Bosphorus and the only hotel in Turkey that can be reached by yacht, helicopter, and limousine. In no way a relic, despite the many elegant reminders of its rich history, the Cıragan Palace Kempinski is a perfect blend of old and very contemporary, offering the highest standards in amenities and service, including eclectic fine dining that celebrates Turkey’s time-honored culinary traditions while infusing them with the latest innovations, shaping Istanbul into one of Europe’s most exciting restaurant scenes. Opened in 1990, this five-star hotel quickly became the favorite amongst the world’s heads of state, celebrities, corporate titans, and sophisticated luxury travelers. Located in the heart of the city center and a 45 minute drive from the Atatürk International Airport, the hotel is within close proximity to Istanbul’s business district as well as its historic and cultural sites and shopping, including Istanbul’s famed Grand Bazaar. 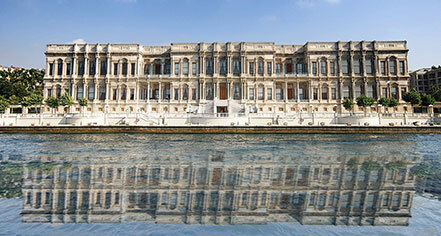 Ciragan Palace Kempinski, a charter member of Historic Hotels Worldwide since 2012, dates back to the 1867. In 1869, during the reign of Sultan Abdülaziz, one of the hotel’s first celebrity guests, the Empress Eugenie de Montijo of France, the wife of Napoleon III, visited the Turkish bath of the new Cıragan Palace on her way to open the Suez Canal. There are a handful of hotels in the world so iconic, so distinctive that they become synonymous with the city that created them. In Istanbul, that hotel is the Cıragan Palace Kempinski. 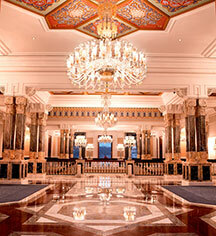 Learn more about the History of Ciragan Palace Kempinski .